The 2016 Southeast Emmy® Awards, a chapter of the National Academy of Television Arts and Sciences, has recognized Georgia Southern University’s Multimedia Development Center (MDC) and Department of Music with two professional Emmy® award nominations for Best Live Audio. 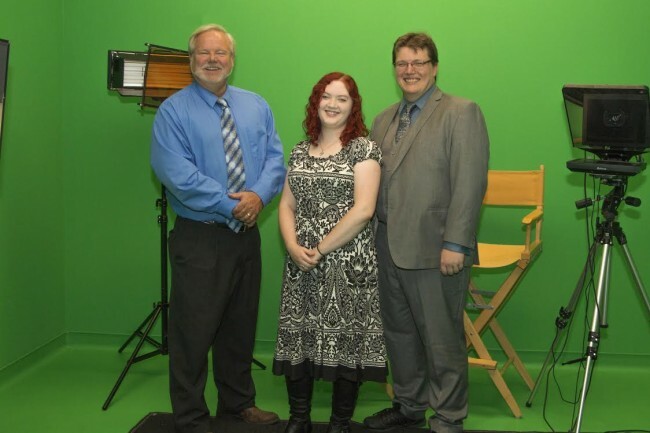 Jeffrey Clark, graduate student in the Department of Music, Art Berger, director of the MDC, and Rebecca Lynch, academic and post-production producer for the MDC, were nominated for their work with the Georgia Southern University Wind Symphony, conducted by Colin McKenzie, D.M.A. The Wind Symphony is composed of students majoring in music education and performance as well as students from many other colleges and departments on campus. The first nomination was received for “Russian Christmas Music,” composed by Alfred Reed, and “Coil” a contemporary composition by Steven Bryant. The second nomination was received for “Lis Escoubo” from Suite Provençal by Jan Van der Roost. The two pieces were the only two works remaining in the Best Live Audio category after the elimination process. “We are very proud of our collaboration with the Department of Music, especially the work of our students and their outstanding performance,” said Berger. The National Academy of Television Arts and Sciences, NATAS, is a professional organization for individuals in the television and broadcasting industry. NATAS is the standard-bearer for excellence in the television broadcasting industry and the gatekeepers of the prestigious regional EMMY® Awards. The Southeast Chapter represents the most experienced and talented television professionals from all disciplines of the industry and from each of our television markets (Alabama, Georgia, Mississippi, South Carolina and Asheville, North Carolina). Georgia Southern University, a public Carnegie Doctoral/Research University founded in 1906, offers more than 125 degree programs serving approximately 20,500 students. Through eight colleges, the University offers bachelor’s, master’s and doctoral degree programs built on more than a century of academic achievement. Georgia Southern is recognized for its student-centered and hands-on approach to education. GeorgiaSouthern.edu.